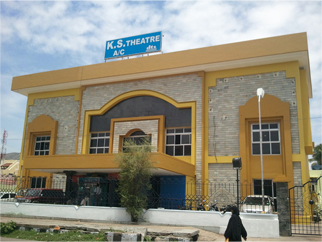 K S Cinema, Salem is a luxurious Single screen theatre located in the heart of the Salem city having Digital screening with Cube and Dolby DTS Sound surrounds system. KS Cinema was the first to install Dolby Digital system apart from Chennai in Tamil Nadu.The seating arrangements are superb having push back seats with fully air conditioned in the theatre and the screen size is the largest in the area with the latest updated technology. You can also book your tickets ONLINE, for online booking click in the book tickets menu and BOOK your favorite movie show now and enjoy A Great Show at K S Cinema.